Gallery Art's professional in-house custom framing department offers only the best in custom framing. Here are a few samples of our more popular framing selections. 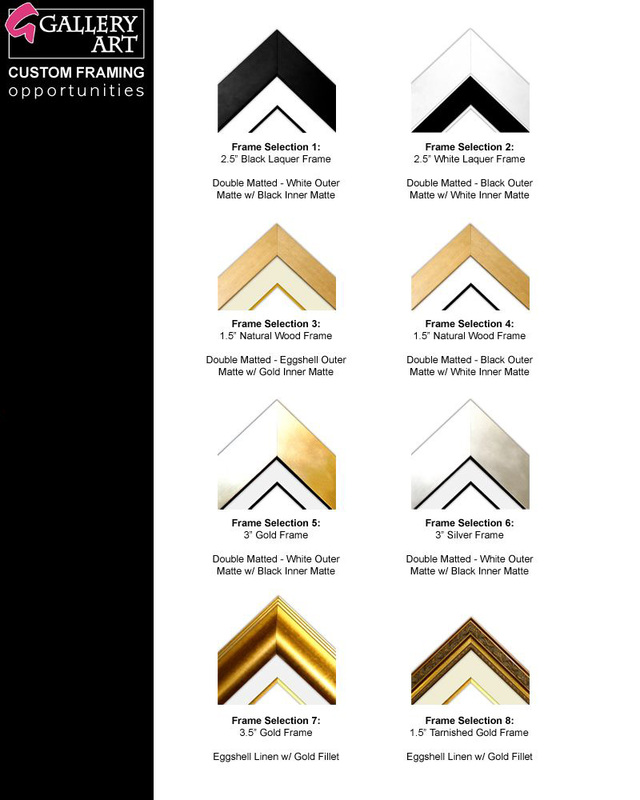 These are only a few of the many thousands of framing combinations we offer. We can work with you over the phone or email to find the best framing choice for you. You can even view our Live Framing Camera to help make your choice. The framed artwork we offer at Gallery Art is only and always framed to museum quality standards.